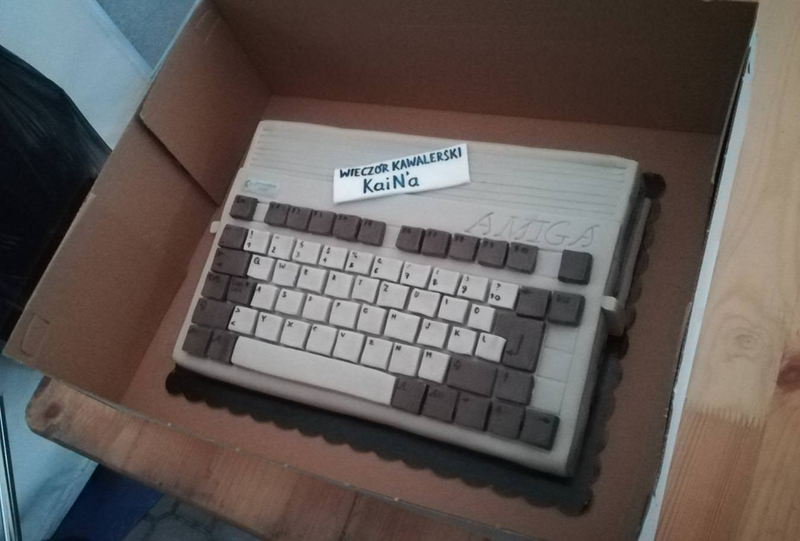 A stag-party cake for a serious Amiga fan. 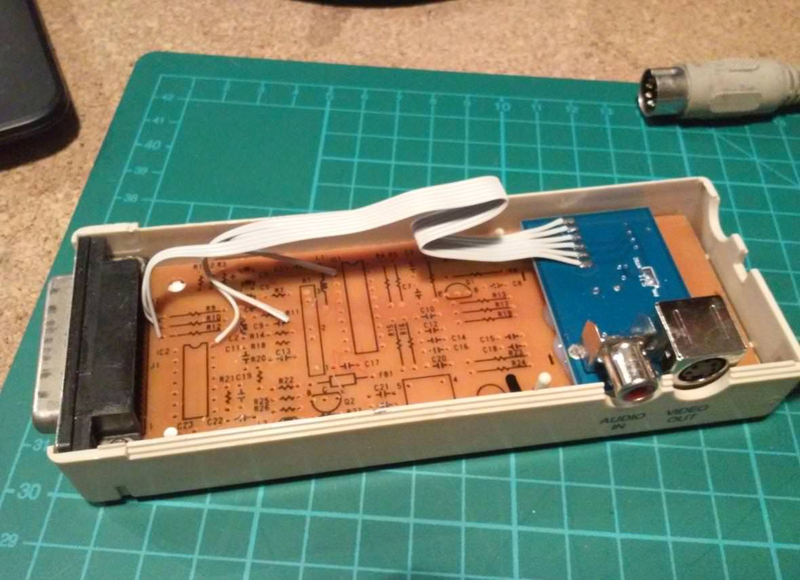 OK, so here is the fifth part of various hax that I've gathered over several months. 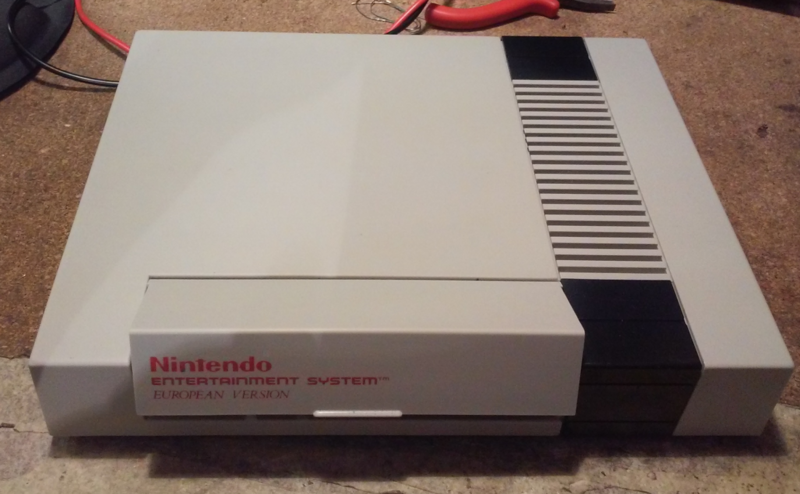 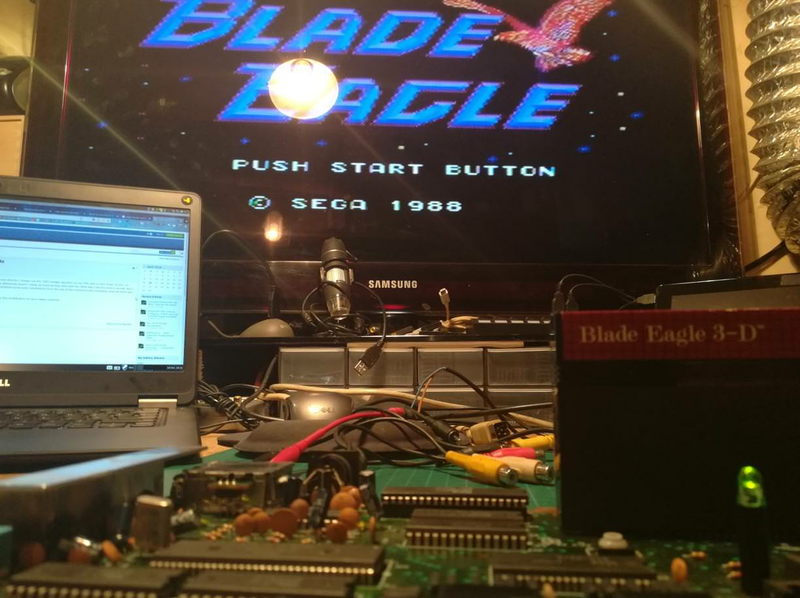 My friend Jesionen asked me to have a look at the NES that he received. 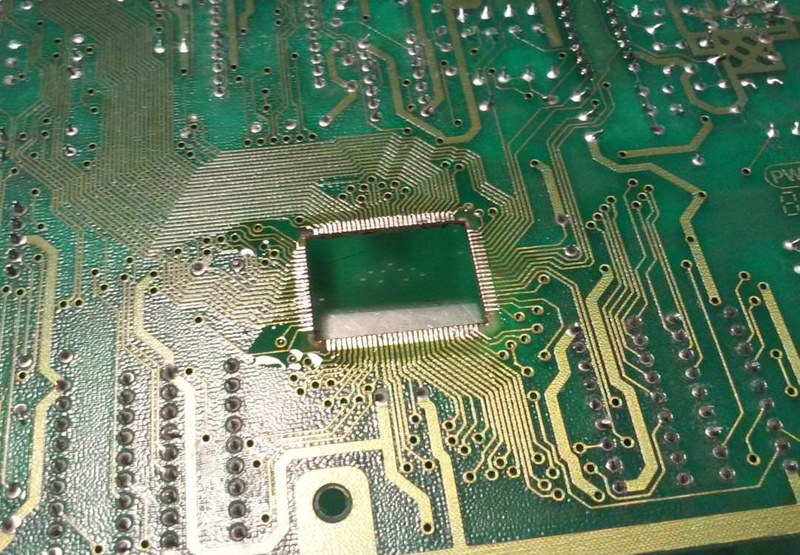 He had no problem fixing electronics but he had a minor problem with a dirty case that he could not sort out. ... but there was a catch as usual. I didn't want to destroy the original texture. 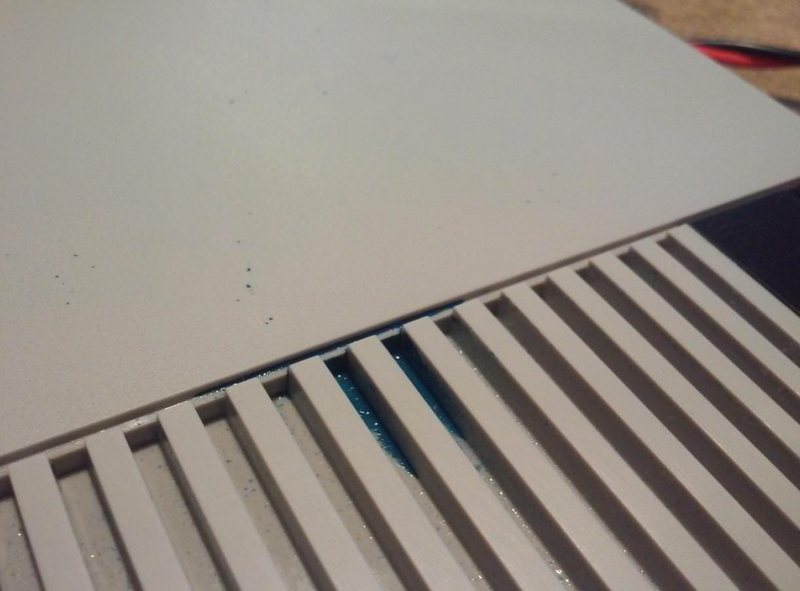 Finally, after a few minutes of petroleum ether treatment, I could start my standard cleaning procedure. 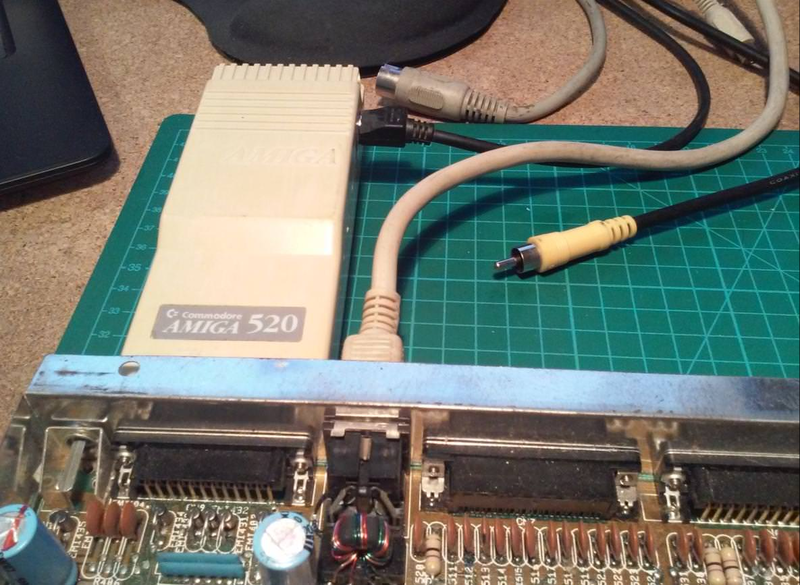 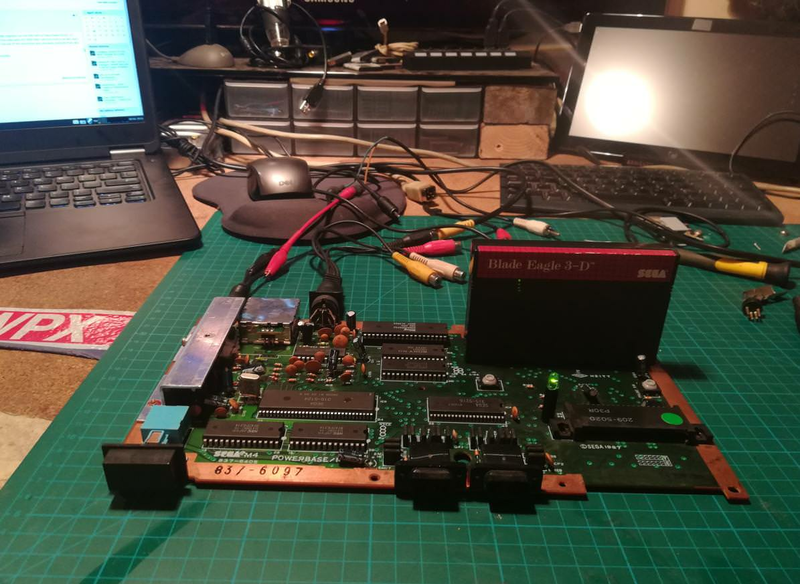 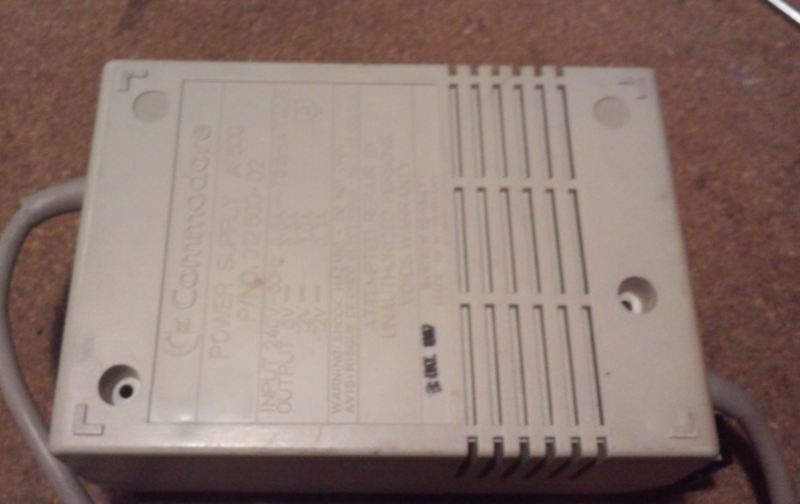 Since I've created my own version of the Amiga 500 modulator based on AD724JRZ chip, I've figured that I could put it inside an original A520 case to simply get a better picture quality but keeping it original. 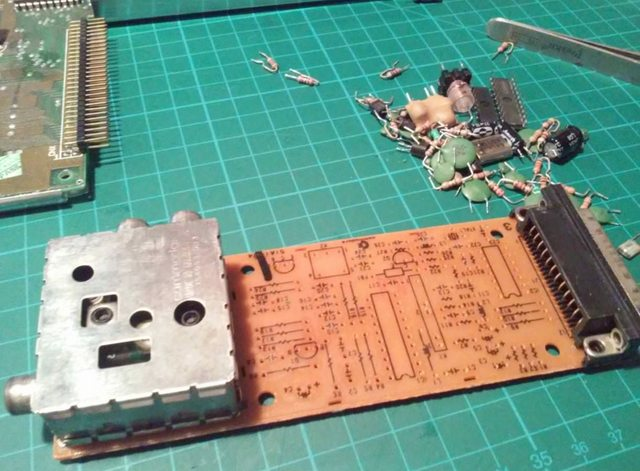 First I had to desolder all the parts. Next, I've glued RGB4ALL module in a place of RF box and soldered all the wires. 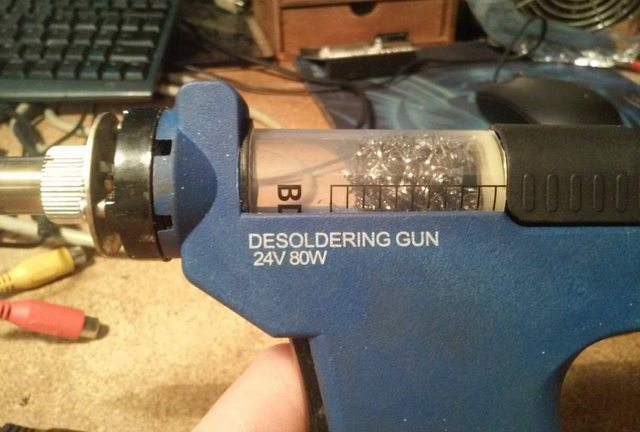 Here is a quick and dirty hack of a desoldering gun that I own. Unfortunately, it didn't work at all. Quick motherboard inspection revealed cold joints and that was easily fixed. However, all I was getting was this. 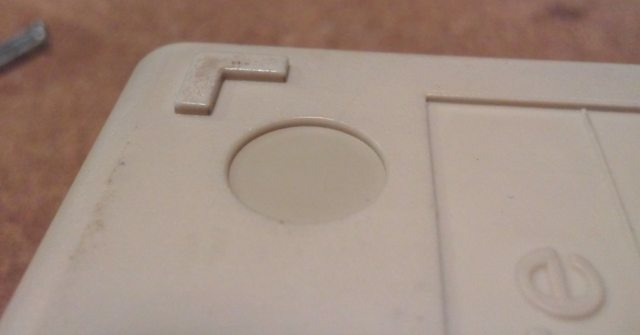 After a long while of looking at it, I've figured that in fact there are screws but hidden under plastic plugs. 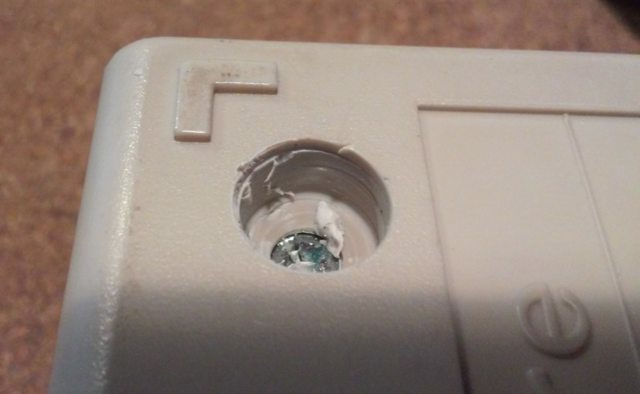 Unfortunately, I couldn't remove these plugs so I had to drill 'em out. Here is how it looked. 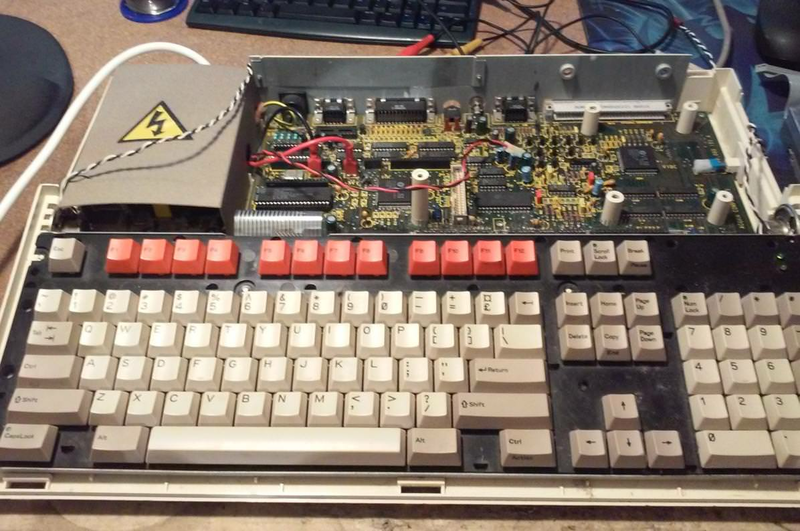 This is actually a hilarious story with my friends (Bachoo) Acorn Archimedes 3000. 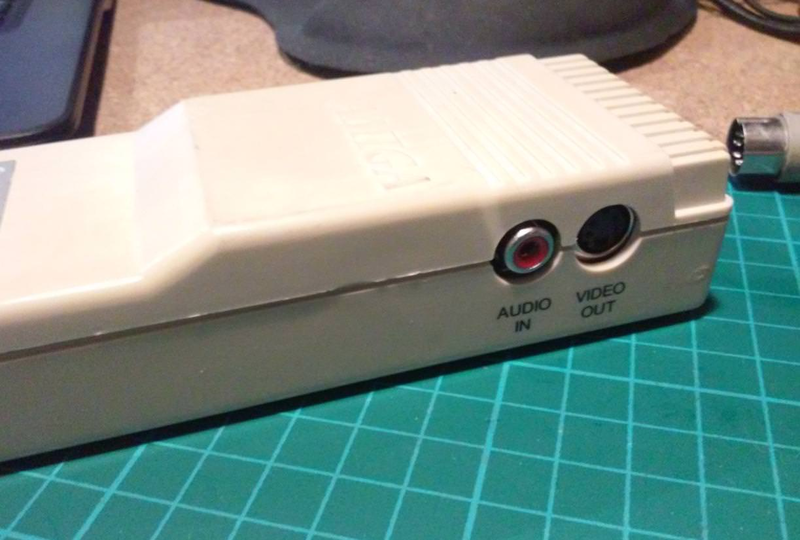 Bachoo told me that it is not working (video output was out of sync) and that he had it sent over to another retro refurbisher that tried almost everything and still couldn't sort it out. 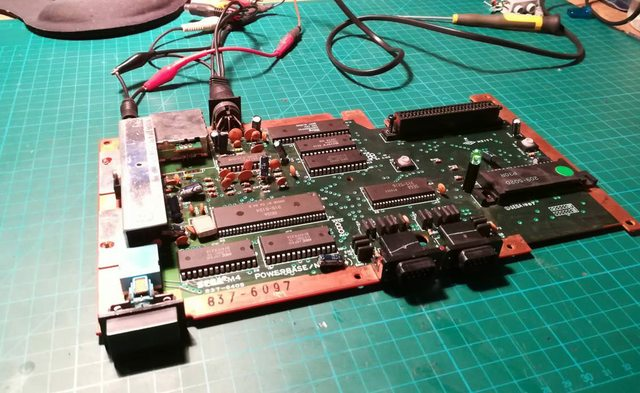 As usual, I've treated it as a challenge and I said that I can take a look at it but I can't promise anything since I am not an expert in Acorn machines (no worries ;P that was a long time ago ;P). Indeed, it had some problems. I've dissassembled it and took a quick look at a mother board. 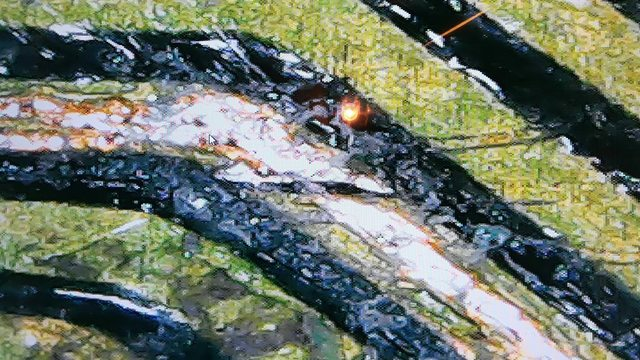 Here are pics of weirdness that I've encountered. 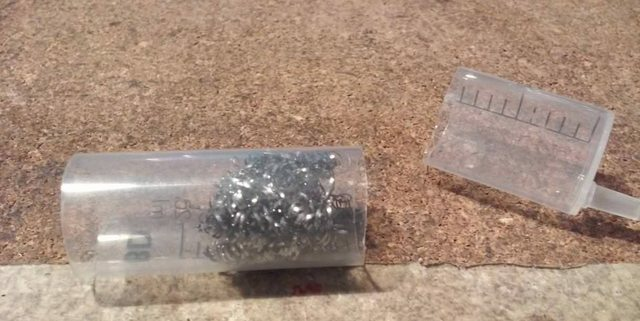 At that time I didn't know much about Acorns, so I've started googling. 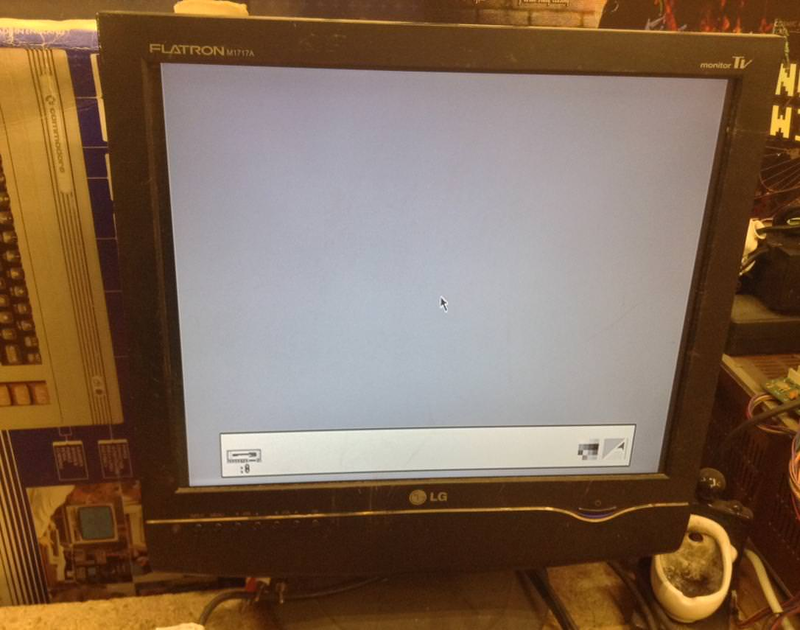 One of the very first search results was about sync problems that people have with this machine LOL. 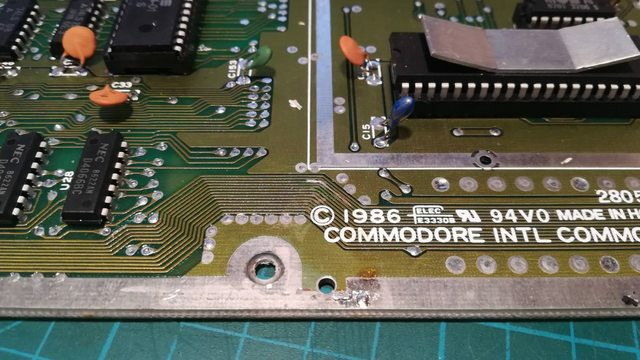 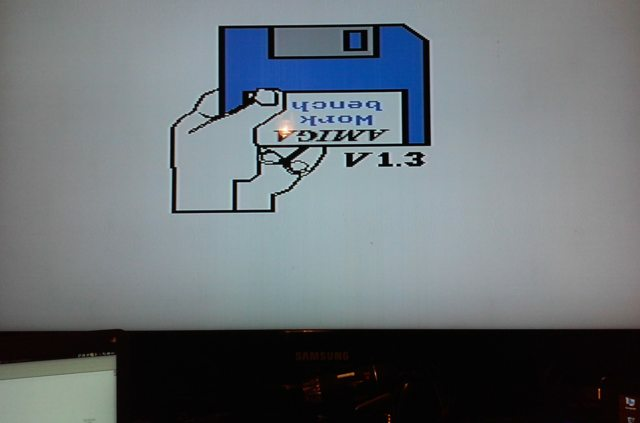 I had a nearly fully working C64 motherboard. The only problem was that one of joystick directions was not working at all. I've spent quite a while to track a source of this issue. 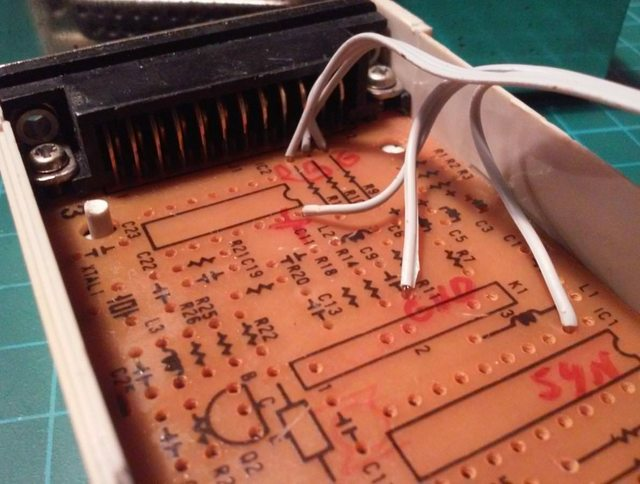 It turned out to be a broken trace BUT ... under a solder mask!!! 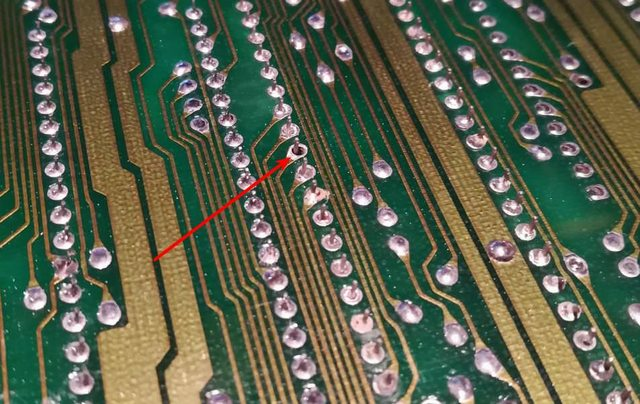 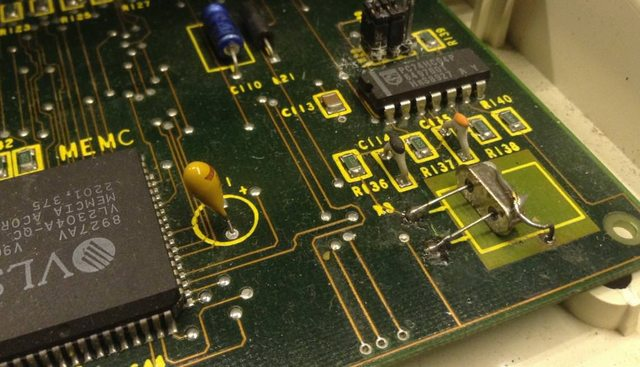 Here is a zoomed picture of this trace after removing solder mask. 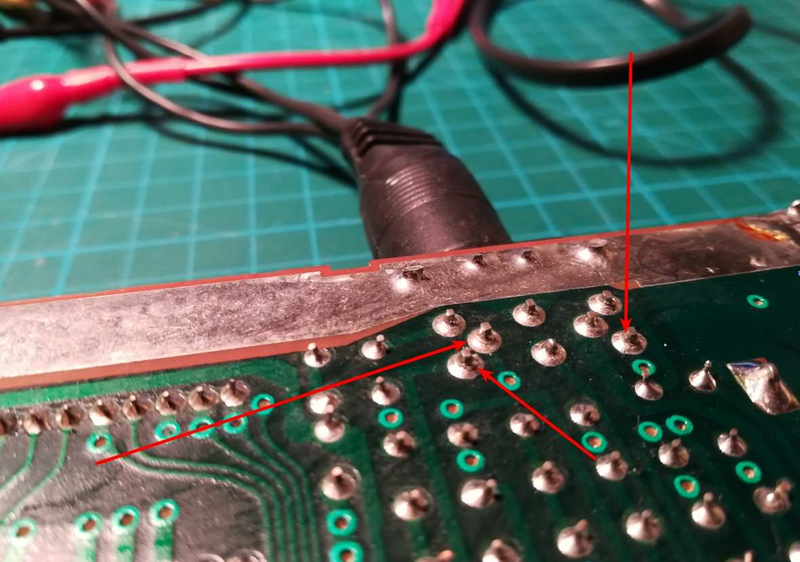 Soldering a short wire on it sorted out this issue. 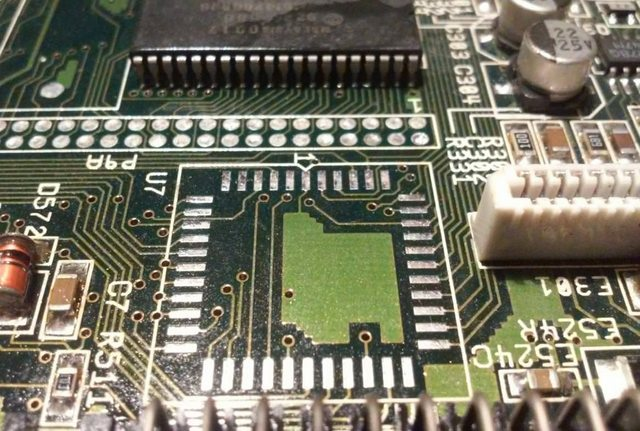 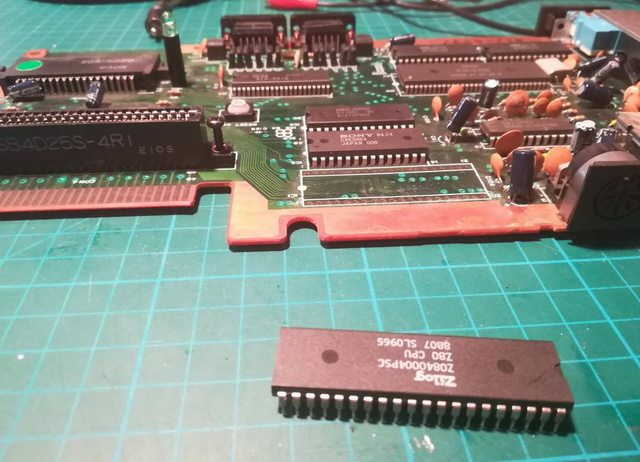 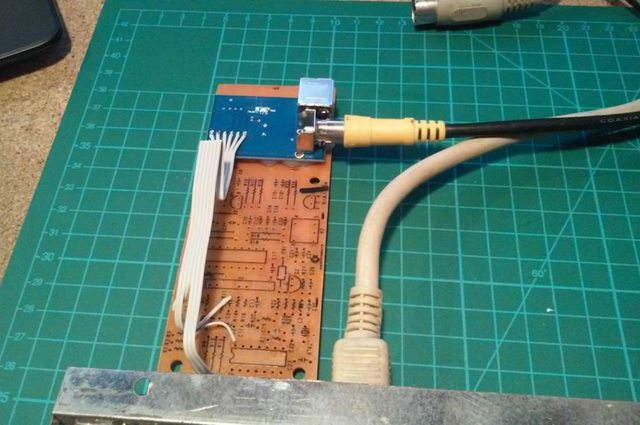 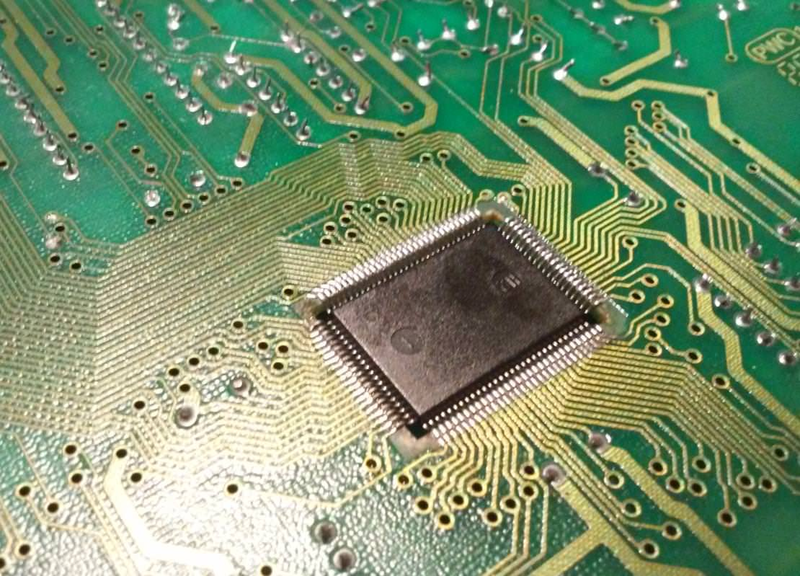 My friend Jesionen asked me to desolder a chip of an Amiga 1200 motherboard because he didn't have proper tools to do it. 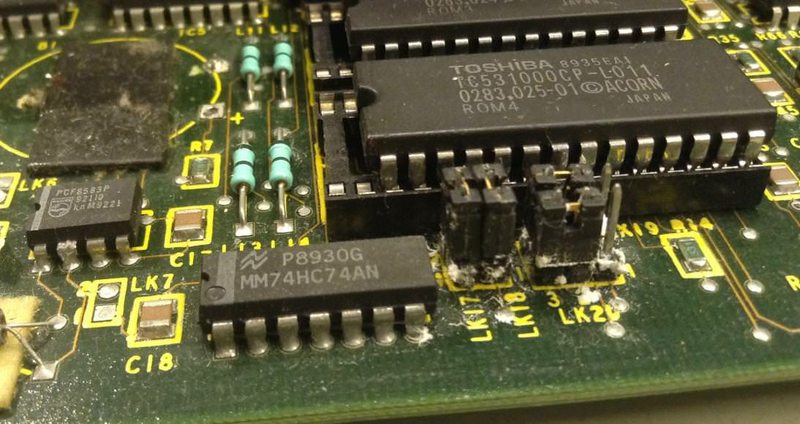 Problem is that a chip is surrounded by a lot of plastic parts that I didn't want to be melted by a hot air. 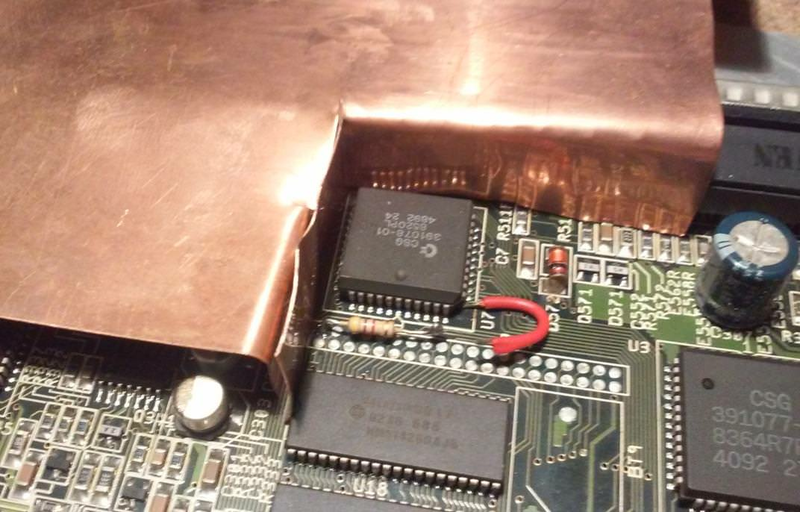 I've come up with an idea of a custom temperature shield made out of copper sheet. It worked like a charm. 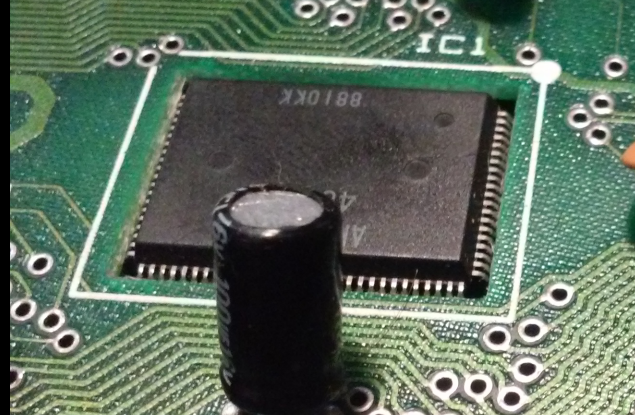 This is a last of the hax or rather curiosities that I've encountered over past months. 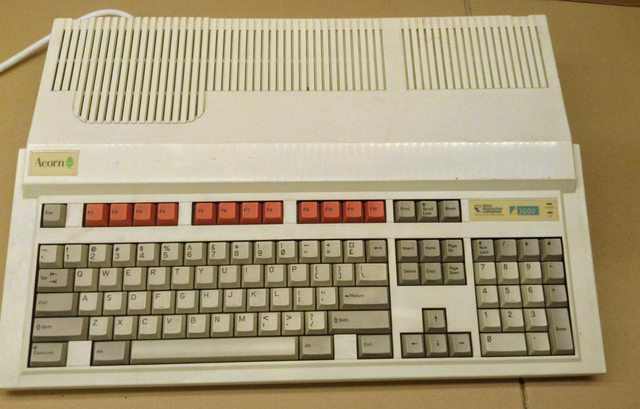 I had a ZX Spectrum 128k +2 (black) to repair and it didn't work at all. Obviously, I've started with RAM replacement because some of the chips were getting extremly hot while a machine was powered on. 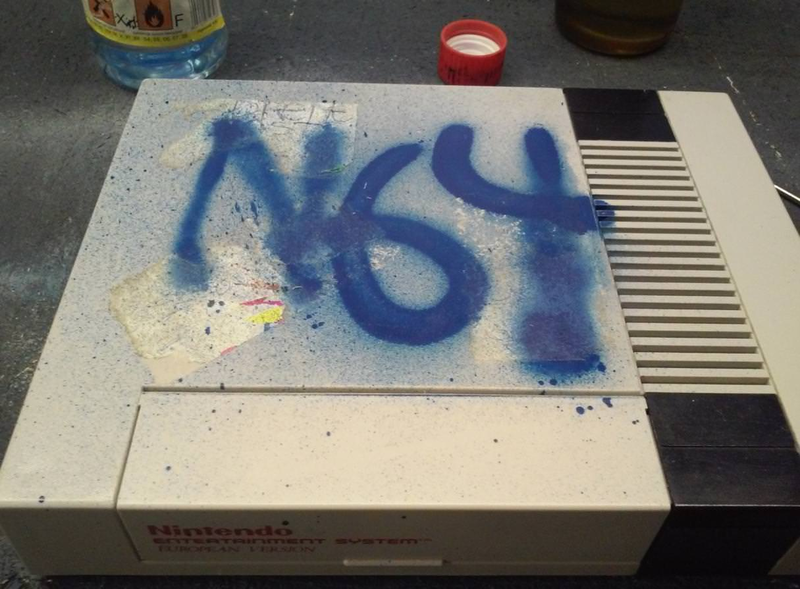 How surprised I was when I saw this. 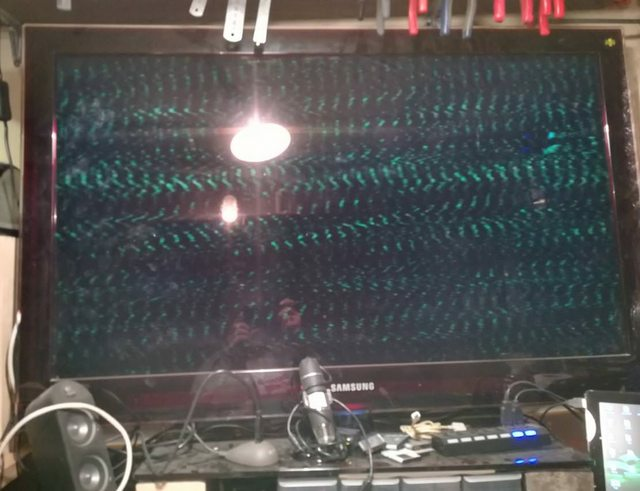 I was like ... WTF! 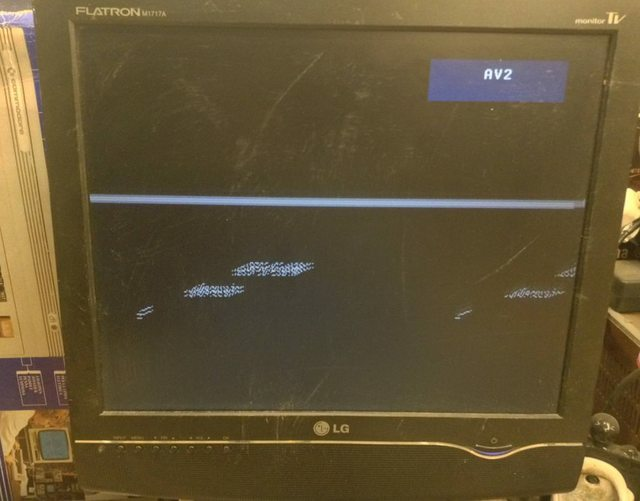 what is this ? 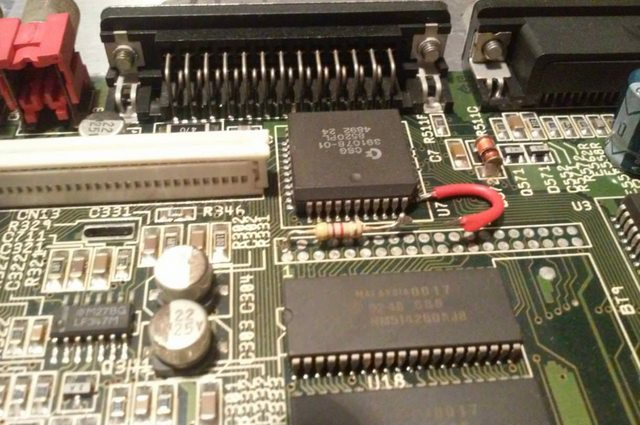 what kind of RAM is that ? 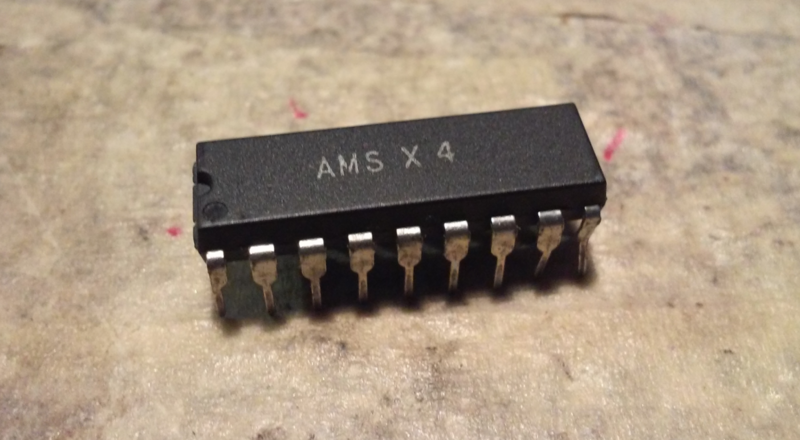 Of course, browsing the Internet helped a lot, so that issue was sorted out quickly by replacing the set of RAMs with proper chips - 4464 or 81464 in that case. 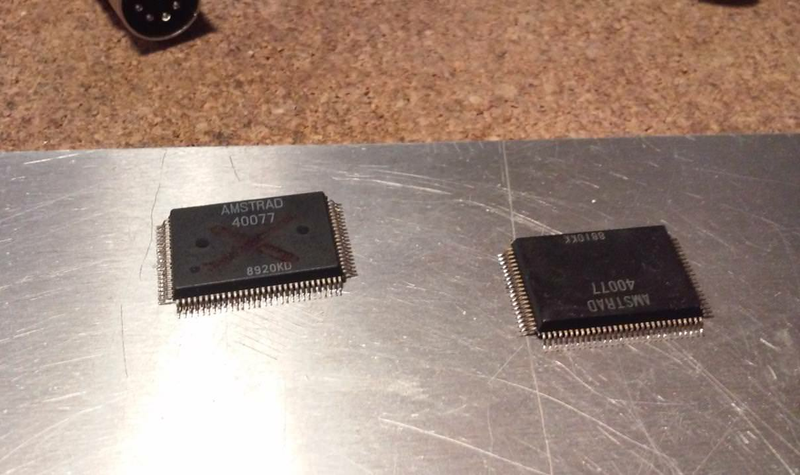 My next guess was to swap an ASIC which btw. 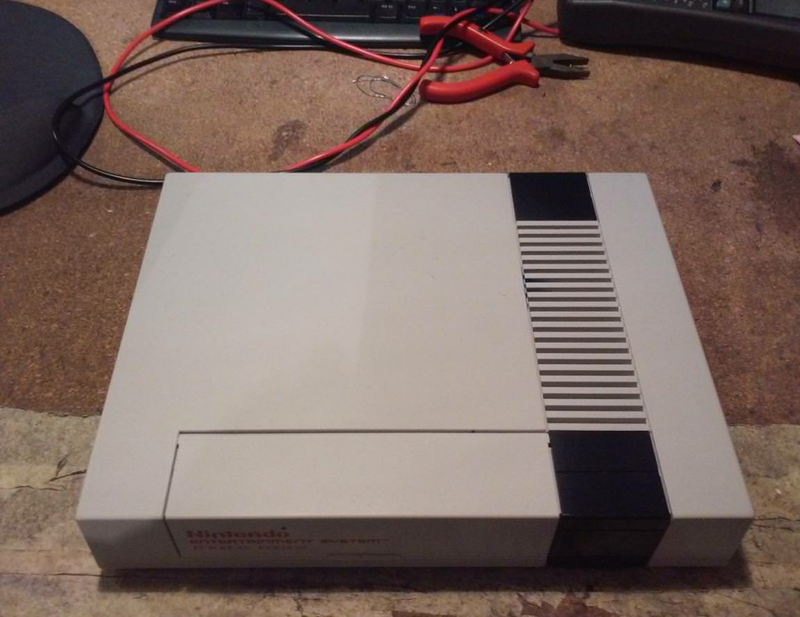 is weirdly mounted.